Be sure not to miss the PFL 11 post-fight press conference once the event concludes. Tonight (Dec. 31), six new champions will be crowned. Those those champions will also receive $1 million checks for winning the 2018 tournament in their respective divisions. Judo gold medalist Kayla Harrison will also be in action as she meets Moriel Charneski. The event takes place inside Madison Square Garden’s Hulu Theater in New York City. The first fight begins at 7 p.m. ET. All tournament winners are expected to attend the post-fight press conference barring any hospital visits. Of course anyone else on the card who has a breakout performance could also attend the presser. MMA News will be providing live coverage of the PFL 11 card. Be sure to check back here for the post-fight presser with a tentative start time of 10:45 p.m. ET. 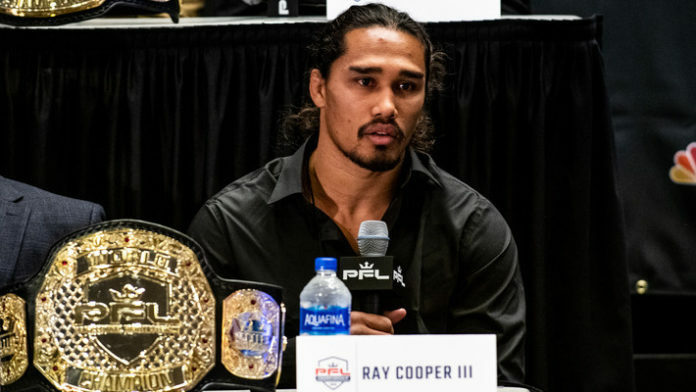 Let us know your big takeaways once the PFL 11 post-fight press conference ends.